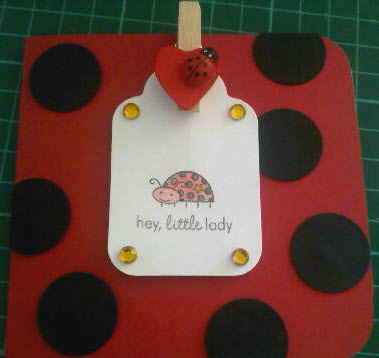 For the first time in too long I unpacked my craft/card-making stuff, and made some cards! Both are simple and quite small cards (one sheet of A4 card was cut into thirds = 3 cards per sheet). This second card was a bit of a 'the joke is on me' card. A while back I pinned this wonderful 'I poop magic' unicorn cushion, because it made me laugh. 560 re-pins, later my friend bought me a unicorn stamp as a bit of a joke. So, my weekend projects included using that! 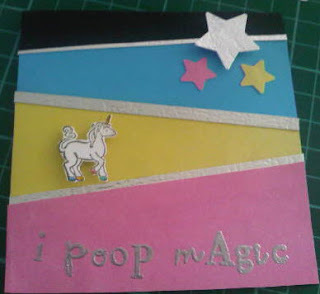 I used black card as the base, along with pink yellow blue and silver paper, 2 different star punches, unicorn stamp, coloured pencils, glitter glue (which I out on the mane and tail), silver ink, and alphabet stamps.